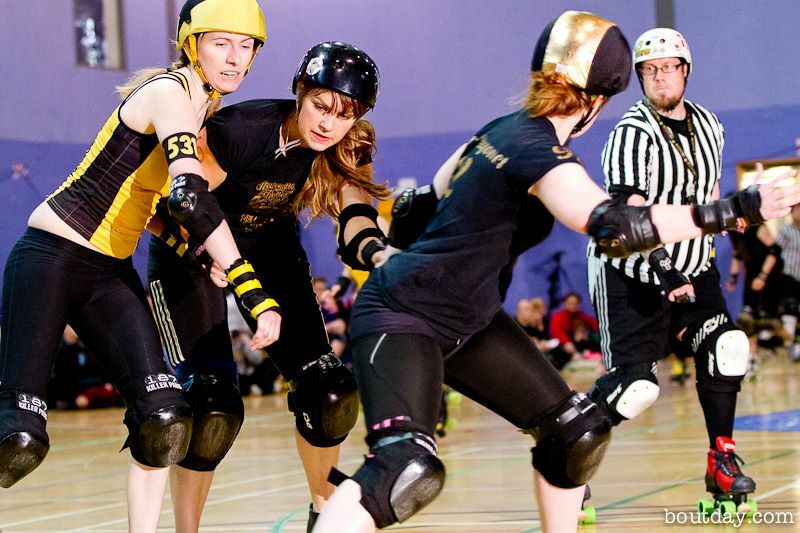 The Belters brought home their second win north of the border in 2013, this time against the Glasgow Maiden Grrders. With a convincing win of 191-110 the Belters move up in the European rankings from 41 to 31, a whopping jump of ten places. The predicted score was 200-141 in the Grrders favour, so it was a big upset! Best jammer Penny Bizarre, Best Blocker Brie Larceny and MVP Missy Pow Pow.